Everyone else thinks they can do it better. But they can’t. Among the lessons learned in my years of planning jazz festivals is that, when you announce your schedule, everyone else in the world who cares thinks they could have done a better job. They know who they would have booked that you did not. But theirs are choices made in a world without the restraints of budgets, of artist touring schedules and availabilities on the date of the event, of even if you have enough electrical power in the park to accommodate an act (true: in the 1980s, we passed on Chick Corea’s Electrik Band because we could not bring enough power into Volker Park to meet their needs). As I sat in The Blue Room, listening to the announcement of acts for the 2010 Rhythm and Ribs Festival (October 9, behind the American Jazz Museum), my first thought was, I could have done better than that. Rhythm and Ribs skipped last year, a victim of the economy. Had it missed another year, the festival would have been over. Perhaps another event could someday have taken its place. But had two eventless years passed, so would any sense of continuity, leaving questionable hope of regaining support from key sponsors and fans, and this event would have been stick-a-fork-in-it done. So it’s wonderful news that the festival is back. Never mind that it shrunk. That’s good. To the credit of American Jazz Museum CEO Greg Carroll and his planners, it’s scaled to meet a mandate that it be staged with financial responsibility. I speak from experience: It’s amazingly easy when planning a festival to assume the best. God wouldn’t allow rain on our event. The talent we’ll book will draw everyone. We’ll jam that park with tens of thousands of people, who knows, maybe a hundred thousand. So figure out how much cash we’ll take in on that size crowd and spend it, now, on the event. It’s dumbfoundingly easy to ride the wave of anticipation and excitement. It’s dumbfoundingly easy to die in debt. The 1984 Kansas City Jazz Festival lost $128,000. We paid off the last of that after the 1989 festival. In the intervening years, we set a rule that we would spend no more money on the event than we could raise in advance. Money taken in at the festival went to debt repayment and seed money for the next year’s festival. That meant some years we had headliners I’d rather forget. That also meant that each year we staged a festival. Sometime after I left, the don’t-spend-more-than-you’ve-raised-in-advance rule was abandoned. 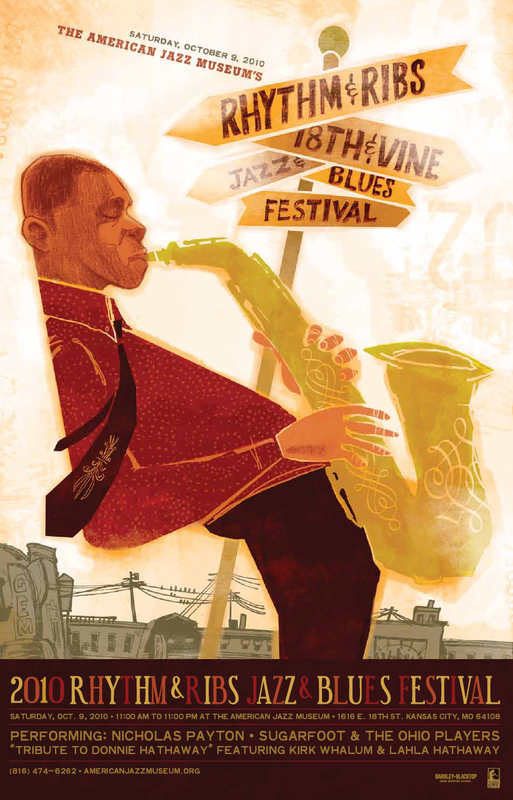 The Kansas City Blues and Jazz Festival, which succeeded the event I helped plan, eventually died. And it hurt when I heard it died deep in debt. I don’t know the financial rules by which Rhythm and Ribs is playing. But what most encouraged me at the press conference was hearing that the festival has been sized to the budget. The grounds are smaller than past years. The projected crowd size is closer to the 1980s’ 18th and Vine Festivals. That’s fine. That’s what the dollars can accommodate. This year is a reset on which to build. When you try to stage a festival every year, that’s how some years play out. That’s also how you come out of the weekend able to stage a festival again next year. Problem is, past Rhythm and Ribs established an enviable expectation for talent. They headlined jazz geniuses like Pat Metheny (with Christian McBride), blues legends like Koko Taylor, rising stars like Shemekia Copeland, and crossover superstars like George Benson, Al Jarreau and Al Green. This year’s lineup – let’s be honest – doesn’t match that calibre or appeal. When compared to the standards of past Rhythm and Ribs, the initial reaction to this year’s lineup is disappointment. The initial reaction is, I could have done better. No, I couldn’t. Not and remain responsible. Disappointment is quelled through marketing. Sell the event. Sell excitement. This is a rebuilding year, yes, but that’s no more publicly popular to hear about festivals than it is with the perpetually-rebuilding Royals. So let’s keep that talk to ourselves. When comparisons arise, we’re looking forward. There’s going to be a great festival, Kansas City. We’re going to celebrate. A difficult line has been laid to tread. The poster and site say jazz, while two thirds of the national talent says top 40 oldies. Yet that talent should broaden appeal and provide a base on which the marketing builds. Fans, you know their songs. You know this is going to be fun. No, better than that, this is going to be great. On October 9th, this is where Kansas City gathers. This, you do not want to miss. ‘Cause if you do, you sleep while Kansas City celebrates. It’s a challenging year. But, if the weather cooperates, results can be good. No, better than that, results can be great. Start the push after Labor Day and build. Through the web site, through constant Facebook posts, through daily tweets, through posters blanketing the town, through talk show appearances and newspaper articles, sell it. And the stage can be prepped for an even greater festival next year. I’ve written before how the site of the home of history’s greatest alto saxophonist, the home where Charlie “Bird” Parker grew up in Kansas City, is today a part of warehouse grounds. I’ve written how Eddie Baker of the Charlie Parker Foundation lobbied city councilmen at the time it was leveled, decades ago, to save it. But he was told it was just another old house that the city was going to raze. And they did. However, where Parker lived at the end of his life in New York City is preserved on the National Register of Historic Places. Paperwork issued by the state of New York (here) reads in part, “This is to certify that Charlie Parker Residence, Manhattan, New York County, in recognition of its significance in American history and culture was listed on the…National Register of Historic Places on April 7, 1994.” The building even has its own web site (here). Bird’s home in New York City? Preserved and recognized as a landmark. Where Bird grew up in Kansas City? We tore it down. Then we engraved a tenor sax on his tombstone. 1516 Olive is the accepted address of Charlie Parker’s boyhood home, at least according to a couple of different books I have. But interestingly, a 1955 obituary I ran across (I think from The Kansas City Call, but I’m not certain), lists the address of Parker’s mother, Addie Parker, as 1535 Olive. The obituary may be wrong. Or Parker’s mother may have moved down the street later on. Or maybe she was staying with friends after her son’s death. But what makes that address interesting is that today it’s the site of a building for Time Warner Cable. If Charlie Parker ever did actually live there, I can’t imagine another plot of ground anywhere which has housed two more disparate contributions to our culture. Next Sunday would have been Bird's 90th birthday. Kansas City – April 2, 1935 – Bennie Moten, nationally known dance orchestra leader, died this morning at Wheatley-Provident hospital following an operation for the removal of his tonsils. He had not been confined to his bed before entering the hospital the night before the operation. The 41-year old rotund band leader was a favorite among both white and colored dance fans from coast to coast and was famous for his “stomp” rhythm that had wide appeal. Born in Kansas City, Mo., Nov. 13, 1893, he was graduated from Attucks school and attended Lincoln high school but did not finish. He chose music as his career and began early in his profession as a musician. He was a charter member of the Kansas City Musicians local No. 627 and as a boy played valve trombone in Dan Blackburn’s band. Later he organized his own orchestra with three instruments. He acquired engagements in local theaters and played dance engagements in Kansas City and nearby towns. As his orchestra grew his popularity spread. He was director and played piano. Bennie was also the composer of several dance hits. Last week his orchestra left for Denver to fill an engagement at the Rainbow Gardens. Bennie was to have joined them after he had recuperated sufficiently from the operation. Pallbearers will be the men who were members of the original Moten orchestra. They are, Harland Leonard, Woody Walder, Ed Lewis, Booker Washington, Leroy Berry, Vernon Page and Thamon Hayes. The obituary notes that Moten died at Wheatley-Provident Hospital. That building still stands. 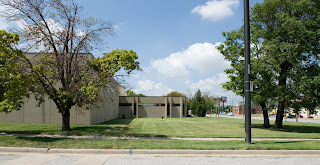 Located at 1826 Forest, between the 18th and Vine district and today’s Crossroads district, Wheatley-Provident was Kansas City’s first black-founded and operated hospital. The original structure was built in 1902 as a Catholic school. In 1910, it was given by the Diocese to Dr. J. E. Perry, a black physician, to establish a clinic and hospital for black patients, and became the Perry Sanitarium. In 1916 or 1918 (I’ve seen both years cited) it was renamed Wheatley-Provident Hospital, after Phillis Wheatley, the first acclaimed black poet in America (her Wikipedia biography is here). The north wing was added in 1925. One history says Wheatley-Provident was the only hospital where black doctors could practice in Kansas City, Mo. until the late 1950s. It remained in use until 1972. The building was last used in the 1990s as a haunted house. Today, it is marked as a dangerous structure. The building was added to the Kansas City Register of Historic Places by the Kansas City Landmarks Commission in 2007 after being named one of Missouri’s most endangered historic places. It’s the state’s twelfth most endangered historic site on the 2010 list, here. Saturday morning word came that jazz vocalist Abbey Lincoln had died at age 80. 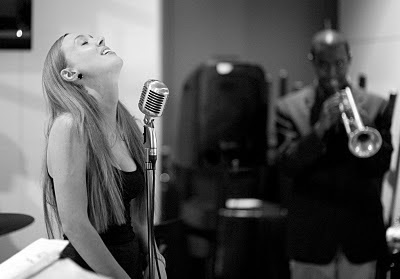 One of jazz’s most original and unique voices, her album Abbey is Blue is among my favorites, always with me on my phone. I respect, too, her body of work tied closely to the civil rights movement. Sunday morning I heard that jazz photographer Herman Leonard had died at age 87. His black-and-white photographs of the greatest names in jazz – of Charlie Parker, of Dizzy Gillespie, of Miles Davis, of Billie Holiday, of Dexter Gordon, of Frank Sinatra, of Stan Getz, of Art Blakey – are how we visualize these legends. Then Sunday KC saxophonist and jazz legend Ahmad Alaadeen succumbed to cancer at age 76. Alaadeen played with Miles Davis, Billie Holiday, Ella Fitzgerald, Jay McShann. And with Gladys Knight, Smokey Robinson, the Temptations. His music and sound, distinctive and fresh, built on that experience and history while always reaching for what’s next. He connected Kansas City to an era quickly passing. But Alaadeen was also a highly regarded teacher. He passed on what he knew and, even more, pressed his students to find their own voice, to reach for what’s next. He regularly surrounded himself with young talent. Knowing how Alaadeen consistently pressed forward makes last weekend a bit less sad. 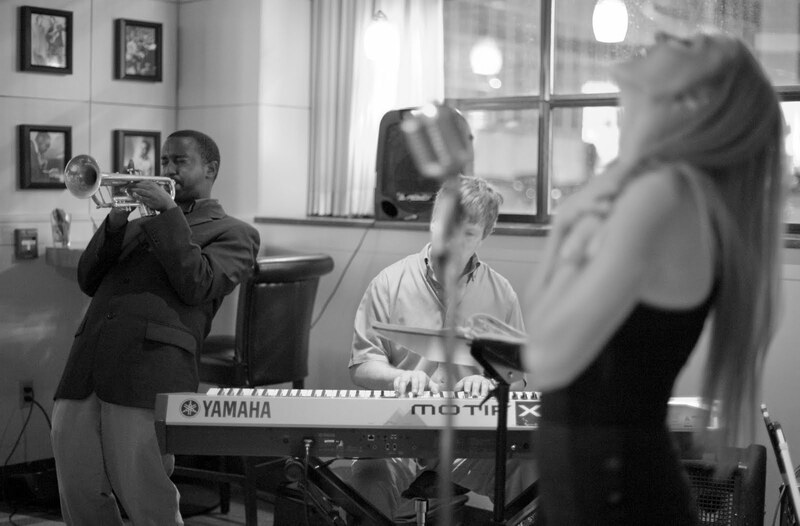 Saturday night I was at The Blue Room hearing pianist Chris Clarke’s group. Featured on tenor sax was exceptional young musician Steve Lambert. 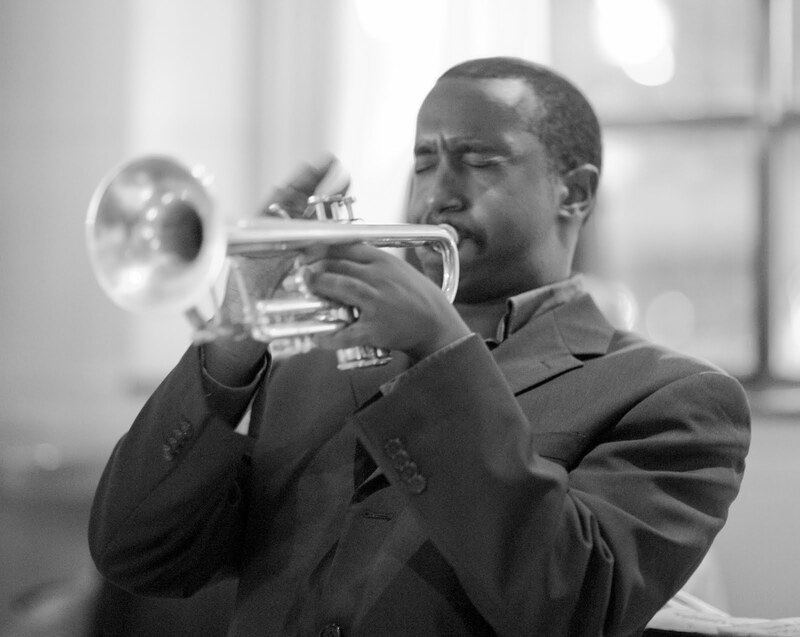 Also joining the group much of the night was young trumpeter Hermon Mehari, a recent UMKC grad and part of the award-winning jazz group Diverse. Hermon’s Diverse bandmate, young drummer Ryan Lee, also sat in for a few numbers. I was hearing the future of jazz. I was hearing brilliant talent mastering the bandstand, finding their unique voice, building on all who came before so that they will, in time, play what right now we cannot imagine. There will never be another voice quite like Abbey Lincoln’s. 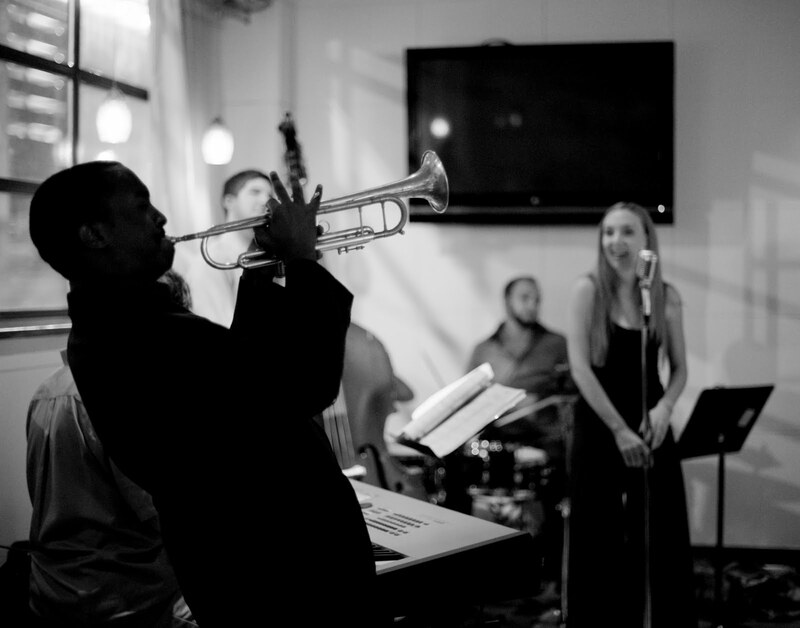 The sum of his experiences defined Alaadeen as they will never define another sax player. And we will never see another master of photography with the same eye for jazz as Herman Leonard. These talents will not be replaced. Rather, we will discover new magicians who will carry jazz into new generations. They’re here now. I heard a few of them Saturday night. Who’s playing in the Jammin’ at the Gem series? It worked. Yesterday afternoon, they told us. 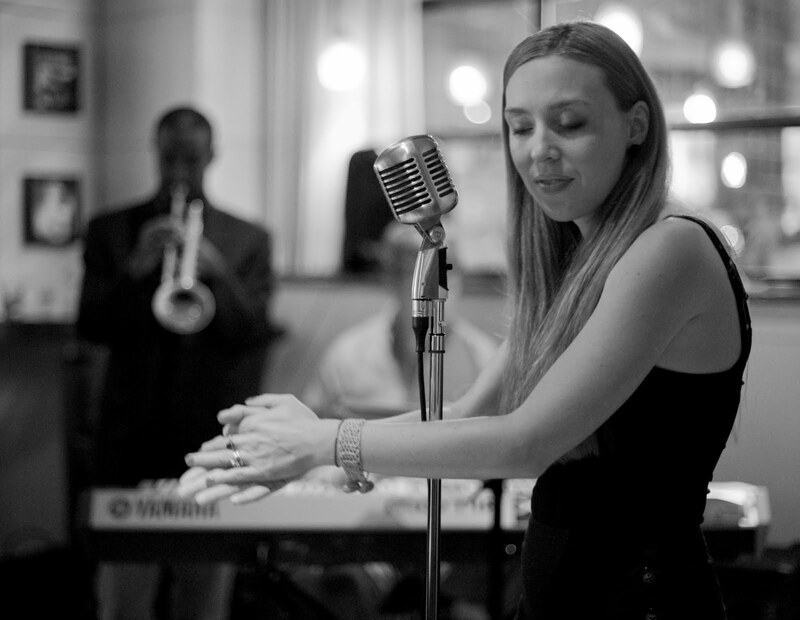 For those who don’t know, Jammin’ at the Gem is the museum’s fall/winter/spring concert series at the 18th and Vine district’s Gem Theater, the perfect jazz lover’s complement to the Folly Theater’s long-standing and similarly timed jazz series. That's a schedule full of well-known names and exceptional talent. Add in the Folly’s much-stronger-than-last-season schedule (on their web site here, and blogger Plastic Sax's evaluation here), next month’s Prairie Village Jazz Fest (main page here, and performer videos here) and the Rhythm and Ribs Fest (discussed on this blog here), and, well, don’t tell me there’s no jazz in Kansas City. Speaking of Rhythm and Ribs, one easy early ticket source I overlooked in Friday’s post is Ticketmaster, right here. Tickets for the October 9th fest are $18 until 10 p.m. October 8th and $25 thereafter. I wasn’t going to put these up. But I liked them enough I decided to share. I’ve posted a photo layout before of Megan Birdsall and Hermon Mehari sharing a stage (here). So I wasn’t going to post the same subject again when Hermon emailed me. He and Megan are planning some gigs together. He’d be sitting in with her group at the Drum Room on July 31st. Might I stop by and take some photos of the performance that they could use to promote? That’s something I’m happy to do for KC’s superb jazz musicians anytime I’m free (just email and ask. My fee? I insist on hearing great music that night). After reviewing the results, I found myself enjoying some of these enough that I don’t care if I’ve pictured these two together before. Like the neighbor in love with his own vacation shots, I’m showing you this set, too. Besides, this is the first time I’ve posted anything from inside the Drum Room, so there actually is something new to the blog here. 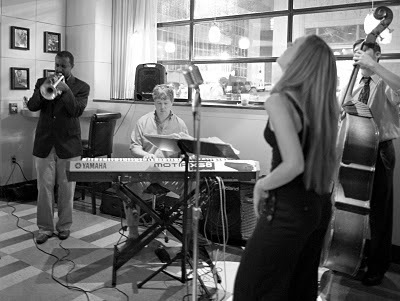 With Megan and Hermon this night were Wayne Hawkins on piano, Zach Beeson on bass and Matt Leifer on drums. Steve Lambert sat in on tenor sax for a set, too. As always, clicking on a photo should open a larger version of it. I want to comment more, and in coming weeks, I will. But for now, let’s get out this much. This year’s fest is a one day event, on Saturday, October 9th, running from 11 to 11. The new festival map extends from Vine to Highland and from the back doors of the 18th and Vine museum complex to the Gregg-Klice Community Center grounds. The main stage will fill the community center’s curved drive. 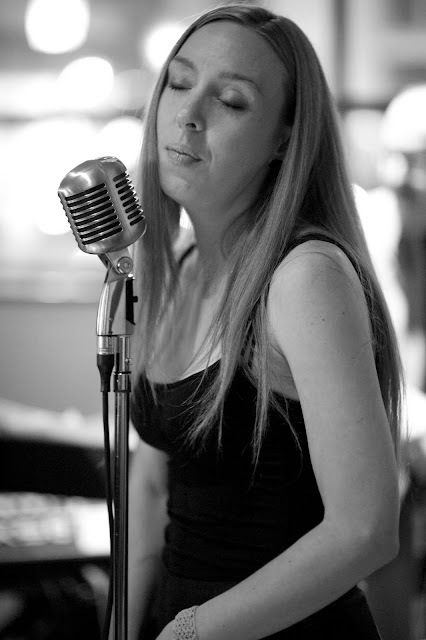 Live music will also fill The Blue Room stage and the museum lobby throughout the day. Vendors fill adjacent lots. And crowds – that’s us – will fill the grassy grounds. Tickets are $18 until 10 p.m. the night before the event, and $25 at the gate. More ticket info is on the American Jazz Museum’s web site (here). And here’s why I’m so anxious to get out this much. Hey, that ought to drive advance sales. Can somebody kill that web site? Or have it redirect to the current site? Or at least replace the copy with a current site link? Then make sure the latest news is on the latest site. People are looking for festival info. I know. 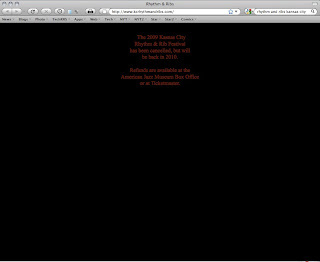 I see hits coming into this blog through the search term Rhythm and Ribs Kansas City. So to anyone doing that search who wound up here: I can’t wait to party with you October 9th! This blog, kcjazzlark, started a year ago today. It was inspired by the music, and still is. To every Kansas City jazz musician I’ve had the delight to hear in the past year: Thank you for the joy. I’ve written before about what precipitated the start of this blog. No need to repeat that, because that's not what this blog is about. It's about the musicians. It’s about the history. It’s about the jazz environment. It’s about the clubs. It’s about the shows. It’s about events. It’s about what we’ve done right. It’s about what we’ve done wrong. It’s about what we’ll do better. But mostly, it’s about celebrating the music. The music that the jazz talent in this city delivers to audiences week in, week out, is stunning. In the past year, I've rediscovered this city's extraordinary established musicians and discovered an amazing number of young musicians making their mark through unbridled talent. From piano which pulled me into masterfully-told stories, to tenor sax impossibly pitch perfect, to soaring vocals, to solos on all instruments astounding me with imagination and drive, from groups built on jazz standards, to groups blending classics and modern, to shows so contemporary they bordered on performance art, I've been in clubs filled by magic. I’ve heard standards rearranged by new KC masters. I’ve been introduced to numbers from musicians whose music I didn't know. 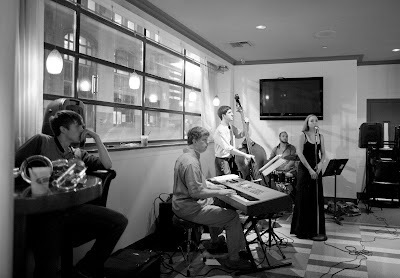 I’ve heard new compositions by our own musicians as skillful and accomplished as jazz played anywhere. I’m going to overlook some people. Nonetheless, in no particular order: Thank you, Meagan and Shay and Mark and Paul and Bob and Tim and Ben and Zack and T.J. and D.J. and Roger and Jeff and Ida and Angela and Chris and Hermon and Will and Ryan and John and Steve and Matt and Zach and Brian and Stan and Clint and Doug and Luqman and Leon and Ahmad and Beau and Gerald and Lisa and Everett and Michael and Jim and Bobby and Sam and Myra and Millie and David and Kim and Joe and Lori and Geneva and Rod and Brad and Mike and Jake and Danny and Wayne and Tyrone and Deborah and Lonnie and Jurgen and Todd and Tommy and Julie and Dennis and Brandon and Rich and Bram and Will. I’m a fan of every one of you. That’s what it comes down to. I’m a fan who happens to have created a forum to share with the world how great this music is. And because I can’t repeat the same mantra all the time, some weeks, instead, I'll tell stories or gripe or poke. Thank you, too, to the club owners and managers. You're critical to the music's survival. You do good work. And if you slip up, I'll let you know. When I started this blog, I hoped to put up at least one post each week. Today's is the 77th, so, to my surprise, I've averaged nearly one-and-a-half per week. I’ve always had great respect for Joe Klopus, writer of The Star’s weekly jazz column. After trying to come up with something every week for a year, my respect has grown. Enormously. When I started, I figured only my sister and neighbor and maybe my cousin read these posts (and later my sister told me she stopped). It’s easy to be impertinent when you think nobody sees your words. Then in January I added a free service which tracks hits (I don't know who you are, just how many of you are out there). I was surprised. There’s certainly not enough of you reading this to make any money off it (the story of jazz, right? ), but you're more than my sister and neighbor and cousin. Enough that I’ve backed off some of the impertinence (except on those rare occasions when I feel the need to refute our friend Plastic Sax). For the next year, I hope to continue to praise and complain, offer unsolicited advice, remember the past I knew, research the past I didn’t know, review, refute, provoke and, with your permission, photograph and document more of our spectacular musicians. Because I know that, just as I talk about hearing Milt and “Fiddler” and Karrin, I and others will someday talk about when we heard some of those names I ran through above. You’re making that kind of an impact. And in fifty years, I want jazz fans doing a Google search to be able to know who you are. Some young musicians are leaving town to seek the bigger cities' bright lights. It’s happened since the 1930s, at least, and always will. In those larger locales they will find more opportunities, but also more competition. However, I know they have no reason to worry. The best rises to the top. The bigger cities will discover what we already know. When it comes to jazz musicians, in Kansas City we nurture the best. Now, if you’ll excuse me, I need to figure out what I’m going to post next. Today I have little to say. This video speaks for itself. Besides, if you watch the whole thing, you’ll spend more time with this post than any of the rest. A friend with no VCR asked me to digitize a video tape she had so she could see what was on it. And on it was a long-hidden gem: A more than 30 year old documentary, full of reminiscing and performance, of Kansas City jazz legend Jay “Hootie” McShann. A note with the tape labeled it 1971. The date at the end of the documentary says 1978. I don’t know what’s correct. I’ll just call this 1970s vintage. The video quality is not great. Color shifts abound (despite what you see, nobody really had green skin). But to hear Jay recalling his start, to see him tour the 18th and Vine district circa 1970s, to see and hear him perform with long-time drumming companion Paul Gunther (and a bassist I don’t know) is well worth a few glitches. Due to YouTube limitations, the video is divided into two parts. Unless somebody asks that they be removed, both are embedded below. Here’s hoping you enjoy them as much as I did. But, if you’re a KC jazz fan, that’s guaranteed.